Teacher, writer, astrophotographer and considered by many to be the father of modern amateur CCD astronomy, Ron was an early CCD evangelist who left his successful career as a Seattle-based software designer to became one of the hobby's leading experts. Published in 2002, Ron's seminal book, The New CCD Astronomy, is considered the hobby's bible by many enthusiasts. Between it's covers, Ron discusses virtually every aspect a budding astrophotographer needs to know- from telescope, mount and camera selection to in depth image processing tutorials. Although now out of print and only available through second hand sources, this tome continues to offer relevant information and has been responsible for providing the confidence many needed to embark on personal voyages of discovery only accessible with an astronomical camera. His follow-up manual, written in association with AIC's 2010 Hubble recipient, Russ Croman, The NewAstro Zone System for Astro Imaging picked up where the first book ended. It offered advanced processing techniques based on a ground breaking concept that identified three fundamental histogram regions, or zones. Many of today's best imagers owe their humble beginnings to the information Ron crammed into these books. Ron was one of the first to promote remote access to an ideally located large telescope when he opened the Black Bird Observatory situated under dark, pristine New Mexico skies. It featured a 20-inch RCOS instrument and large format SBIG camera that was operable with a common Internet browser from anywhere in the world for a modest hourly fee. 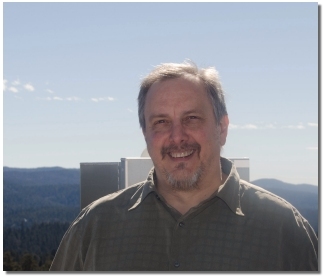 Today, Ron is Director of the Tzec Maun Foundation, a non-profit organization offering students and researchers free access to a variety of high quality astronomical instruments located in New Mexico and Australia. The long anticipated centerpiece of the Foundation's optical collection will be a state of the art, one meter telescope located in a refurbished former government tracking station. Tzec Maun co-sponsors the annual award of two scholarships covering the cost of travel, lodging and registration to attend AIC for one selected student and educator. Ron also hosts, moderates and shepherds the discussions of the ccd-newastro list group on Yahoo. With over 4,000 members, Ron's list is one of the Internet's largest astrophotography communities.